Like the shrugs previously published on this blog, here is another project for little girls that we worked on in my latest Hooked on Crochet class (Gifts for Girls). 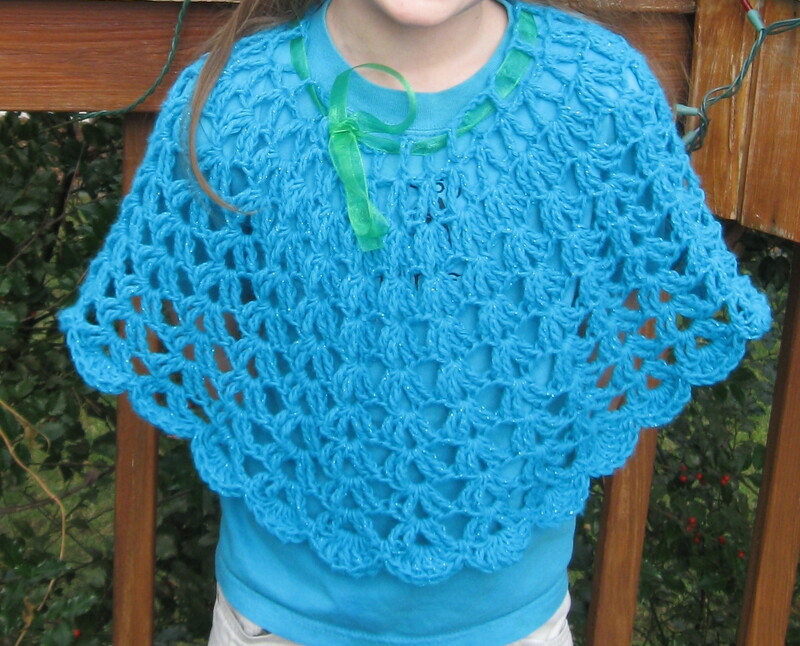 This poncho was a hit since it looks so cute and can be completed very quickly. The pattern in from an old episode of Uncommon Threads. 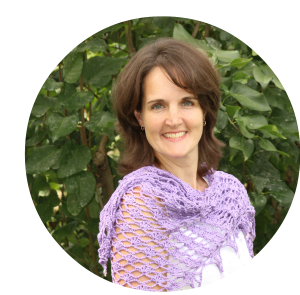 The women on the show explained the basic pattern that can be adjusted to fit any size. 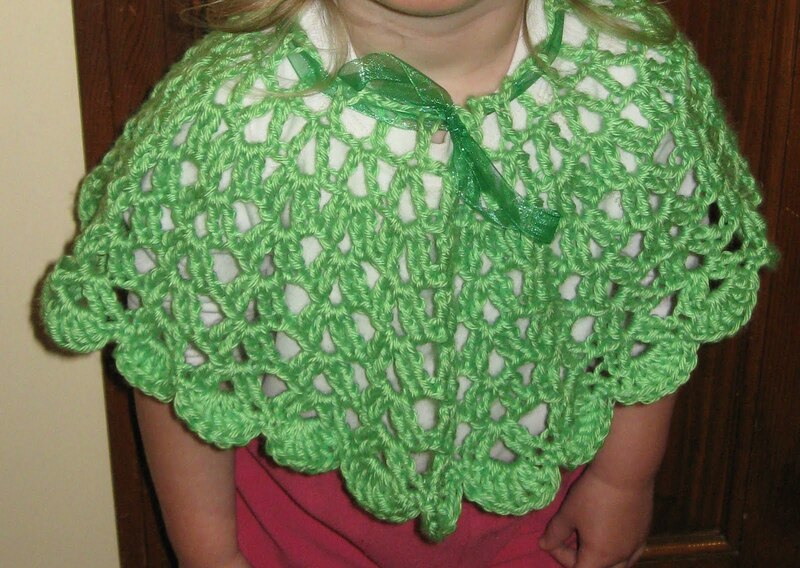 The shells are made from treble crochets and a large hook is used.